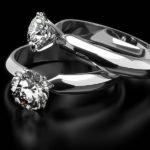 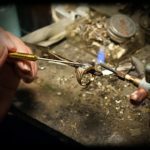 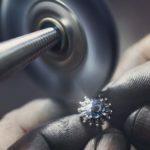 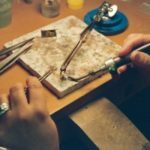 Goldsmith Bellefontaines Jewellers Ltd, BillericayA prestigious jeweller in Billericay is looking for an experienced Goldsmith to join their dynamic team working in an up and coming workshop.A competitive salary and benefits will be rewarded for experience and hard work. 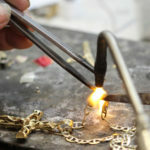 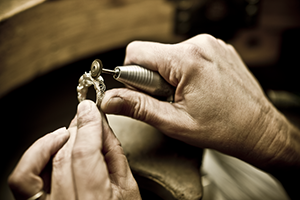 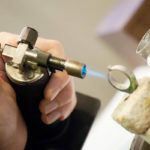 If you would like to be part of this successful and growing business please get in NA RoleWorking alongside our Senior Goldsmith, you’ll carry out a significant percentage of our repairs and bespoke work in our fully equipped on-site workshop: including a polishing machine, roll mill, rhodium plating machine and steam cleaner. 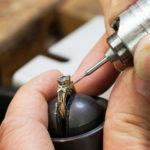 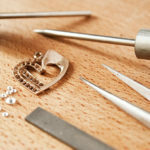 You will also carry out design consultations with our clients for re-modelling and bespoke design work using both traditional and CAD design NA Jobbing Skills Required Ring sizing, re-shaking, re-shaping General soldering work such as chain repairs and putting on charms Re-tipping and associated setting work Steam cleaning, polishing and rhodium plating Re-building old mounts Basic stone setting and un-setting stones Advising customers and staff on repairs and alterations as required Bespoke Work Creating new, bespoke mounts Melting down and re-modelling customer’s old gold Providing quotes verbally and by email Advising on jewellery design and possibly CAD work as required The Ideal Candidate You must share our Quality Standards in terms of product quality and exceptional customer service Be a great communicator, both verbally and written Have a pro-active and positive approach with the ability to get things done quickly and efficiently Effective at time management, prioritization of tasks and always commercially aware Attention to detail is paramount Location High Street, Billericay, Essex Salary£ Competitive experience dependent.